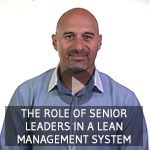 Over the years, Lean Leadership has been a key focus of our blogs and videos. TXM Lean Solutions has plenty of resources for you to read, watch and learn. 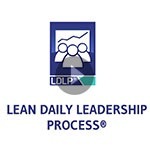 Here is a selection of Lean Leadership videos. The key to growing a business is often the ability to empower people at every level to make decisions and take accountability. The Lean Daily Leadership Process (LDLP) is a proven methodology that brings together visual management and leader standard work to achieve this empowerment. Often Lean experts are reluctant to talk about money and the hard financial benefits of their work. However, the finance experts will tell us that we are in business to create value for shareholders. We do this by engaged, motivated and productive employees creating value for customers. 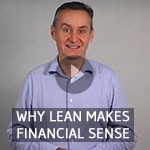 This video provides a simple analysis of how Lean impacts the Profit and Loss and Balance Sheet of your business, driving higher return. Small and medium sized businesses often see Lean as a “big company” solution and something they will implement once they have “fixed the basics”. However for growing businesses, developing efficient business processes and effective management systems is essential to sustain growth. Lean is the way that they can “fix the basics”, as this video explains. Respect for people is a core value in Lean. In this TXM Lean Minute, Anthony Clyne provides some simple tips on how to use the Toyota Method to help you show “respect for people” in your workplace. At TXM we teach the skills of Lean Leadership by coaching leaders to demonstrate simple everyday behaviours such as these. There is lots more to learn about Lean leadership on the TXM website. Of course if you want to learn how TXM can help you develop effective Lean leaders in your business visit our Lean Leadership Page.